Say you’re a single dad, recently discharged from the Army, who needs more education to get a better job. Or maybe you’re a veteran who saw combat in Iraq or Afghanistan – and you’re not sure what to do now. To find success in today’s job market, many veterans are required to learn new skills, and further education is often the only answer to starting a second career. Veterans Upward Bound (VUB), a free U. S. Department of Education (ED) funded program, assists veterans with transitioning to high education. VUB projects help qualifying veterans make the transition from military to civilian life, complete their GED, or enter college or other postsecondary training programs. VUB is an educational and skills program designed specifically to serve the needs of veterans, whether they are from the Vietnam era, the 80’s or 90’s, or today’s combat veterans of Iraq or Afghanistan. The program can be described as ‘academic boot camp’ and assists veterans in preparing to succeed in the classroom. 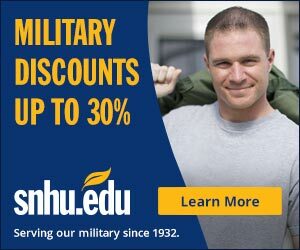 VUB offers a unique range of services designed to prepare veterans to enter their chosen educational program, whether it is at a 2-year community college, a 4-year college or university, or a public or private vocational or technical school. All services offered by VUB, including instruction, textbooks, advising, and supplies, are provided free of charge for qualifying veterans. The program provides non-credit academic refresher courses specifically tailored to the needs of each veteran. Participants can strengthen their writing, reading, math, basic science, and computer skills before they start college. The program also assists in understanding the complexities of the GI Bill system and assists participants in applying for those benefits. VUB also recognizes that the Veteran student is going to need more than just academics to make it in higher education. The 64 VUB programs, nationwide and in Puerto Rico, provide academic and career assessments, study-skills assistance, help with filling out financial aid and school applications, career development, tutoring, mentoring, financial literacy and many additional one-to-one services. The goal is to place veterans in higher education environments that best match their education and career goals, after ‘knocking the rust off their academic skills.’ Between the refresher classes, veterans are given an opportunity to engage in the college experience through cultural and career activities at no cost to them. Veterans can develop the mental discipline to graduate from a postsecondary institution, and be successful in a second career. Since 1972, there have been thousands of success stories, including veterans who have become doctors, lawyers, educators, nurse, engineers, and social workers. VUB is a proven program designed to assist eligible veterans, but the veterans themselves must take the first step. Make the commitment and take the time to enroll in VUB today! For more information about the VUB, and to find the program nearest you, please visit our website at http://navub.org/ or in the pages following this article. Julia O’Dell is the Director of Veterans Upward Bound at the University of Kansas and Randy Wilson is the past Director of VUB at Weber State University in Utah. 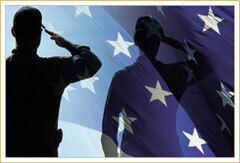 Refer to the following pages for the Veterans Upward Bound Program in your state. 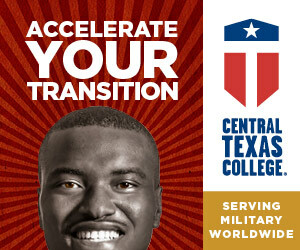 Be sure to tell the program director about tuition credits and any academic credits you may have earned while on active duty.